Wondering what snail trails look like? Check out this photo, I took this of some newly installed solar modules that where less than 6 months old. I wasn’t in any way associated with with the installation of these solar modules, I just happen to be invited on a tour of a large megawatt solar installation was surprised by how many modules were suffering from these snail trails. Indications like this are a sign of a low quality solar module. The marks you see on the bottom row solar module in the center are not dirt marks on the glass, these are micro cracks in the solar cells that are caused during manufacturing. 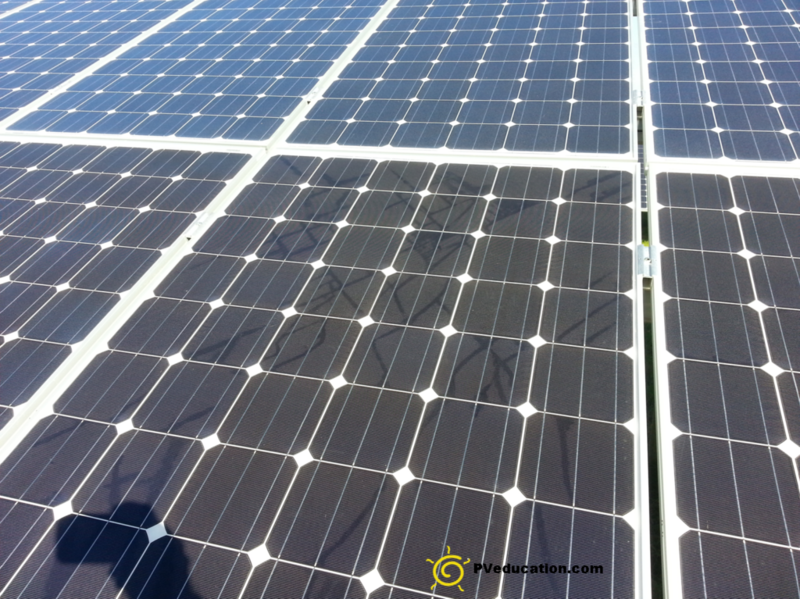 These cracks will often lead to lower than expected performance yields for the solar array. Photon magazine has reported several cases of systems in Spain and Germany seeing 20 to 25 percent lower yields on modules just 18 months old. This photo was taken of a solar array in Pennsylvania. I learned second hand that the manufacturer of the array in PA was denying that this is a defect and this matches information Photon magazine also published about similar cases.